Other forms of cash finally forfeited to the government are $327, 132.35, Â£167.85 and â‚¬327.90. A document obtained by The Nation said: â€œSequel to the investigation of the unlawful activities of Heritage Bank Plc, the sum of N1,260.000,000.00, $327,132.35, Â£167.85 and â‚¬157.90 proceeds of the Bankâ€™s unlawful activities were forfeited to Federal Government Nigeria in suit NO: FHC/L/CS/1349/2018 (copy attached and marked A-A6). â€œAlso see attached, marked â€˜B-B3â€™ transfer instruction for the sum of $327,132.35, Â£167.85 and â‚¬327.90 to Central Bank of Nigeria. â€œA final order of the court forfeiting to the Federal Government of Nigeria the sums of N1,260,000,000.00, $327,132.35, Â£167.85 and â‚¬157.90 found by the Commission which funds are reasonably suspected to be proceeds of unlawful activities. 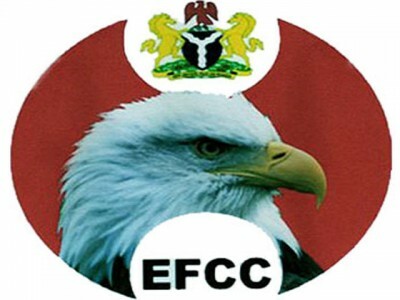 The trial judge, Justice Obiozor, said nobody of organization disputed EFCCâ€™s application for the forfeiture of the cash. He added: â€œNow, I have carefully appraised the affidavit in support of the motion for final forfeiture, which is not controverted. I note that the position of the law is that the absence of a refutal of the facts therein by the Respondents, tantamount to admission on their part of the depositions. â€œBy the special provisions of section 44 (2) (b) of the Constitution of the Federal Republic of Nigeria, 1999 (as amended), the Constitution makes it permissible for properties to be forfeited in a non-conviction based forfeiture process in accordance with the law. â€œThe enabling law in this respect is the Advance Fee Fraud and other Fraud Related Offences Act, 2006, which in section 17 allows the Economic and Financial Crimes Commission to seek an order for forfeiture of properties reasonably suspected by the Commission to be proceeds of unlawful activities. â€œThis non-conviction forfeiture model is activated by way of action which is sui generis. See La-Wari Furniture and Baths Ltd. V. FRN (2018) LPELR-43507 See also Dame Patience Jonathan V. FRN (2018) LPELR-43505. â€œThe key point to underscore here is that the Commission has a duty to demonstrate prima facie proof before the court to discharge the onus of proof on it. Thereafter, the evidential burden of asserting the contrary, namely, that the properties concerned are not proceeds of unlawful activity shifts to the Respondent. See La-Wari Furniture & Baths V. FRN, supra. â€œI have appraised the evidence adduced in the Affidavit of the Applicant inclusive of Exhibits â€œEFCC1â€ to â€œEFCC 16câ€. Are they not all the same?